Trout makes good jerky. Soy sauce, brown sugar, olive oil, and garlic flavor this trout jerky. Plan ahead for marinating time. 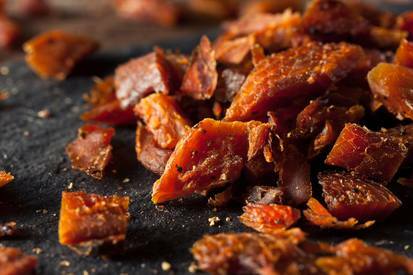 You can dry the jerky in a dehydrator, oven, or smoker. Other thin white fish fillets may be substituted for the trout.